The Office of National Statistics (ONS) released statistics for April showing unemployment had fallen 35,000 this quarter, a decline of 0.1 percent. Although the unemployment rate is still 8.3 percent of the economically active population (those between 16 and 65), this is the first quarterly fall since the three months before May 2011. Correspondingly, the employment rate for those aged from 16 to 64 was 70.4 percent, up 0.1 on the quarter. This is calculated as a percentage of the economically active population in paid work, but does not take into account those with more than one job. The Telegraph asserts that the statistics show people are ‘underemployed’ because the number of people working part-time also rose by 31,000 to 7.95m, while those with second jobs remained high at 1.15m. As a portion of the total increase of 53,000 in employment, 31,000 is fairly significant. Yet this does not make the news less positive. The Telegraph also pointed out that the number of jobless claimants was rising exponentially, to 19,600 in May -more than double the forecasted increase of 7000. It claimed the statistics showing falling unemployment were misleading, and simply demonstrated a higher number of people enrolling in full-time education or in part-time work. This seems unnecessarily pessimistic and, moreover, misleading. These job centre statistics represent just one month in the quarter. The ONS report shows that, as an aggregate, economically inactive people declined by 25,000 for the quarter. Furthermore, perhaps as a result of the increased opportunities provided by the Olympics , the ONS said the number of people claiming Jobseeker’s Allowance fell by 5,900 to 1.59 million in July. Two-thirds of this total, or 42,000 of those who entered gainful employment in that time, were based in London. Of all the new jobs created from April to June, the capital formed a not insignificant half– 99,000 out of a total figure of 201,000. The increase took place overwhelmingly in administrative and support service activities, which grew by 44,000 to reach 2.49 million. Bonus payments were lower in January and February 2012 than in the first two months of 2011, particularly in the finance and business services sector. Regular pay (that excluding bonuses) rose 1.6 percent from the same time in 2011, though it was unchanged from the preceding quarter. Perhaps the advent of the new National Careers Service, launched in April, has made a difference. 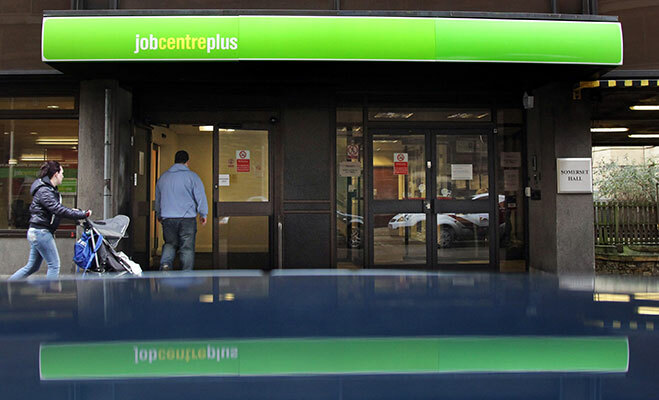 The organisation was founded to provide a recruitment and advisory service independent of the Job Centre, which has suffered bad press recently after a Channel 4 episode of Dispatches, ‘Tricks of The Dole Cheats’ on August 13. The National Careers Service offers face-to-face advice on CVs and skills-building in a range of locations nationwide. Outside appointments, the helpline and website are another point of contact. The online service allows people to open a Lifelong Learning Account, which gives them clear information and personalised advice on training courses, careers and financial support.